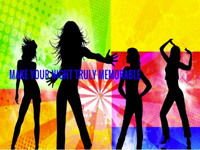 "Make Your Night Truly Memorable"
I can offer a professional DJ service that can be customised to any event ranging from birthday parties, wedding receptions, corporate events, engagements, fundraising events, school discos, proms and much more. We are happy to play music from any generation, modern top 40 to rock and roll, any genre and as the event is all about you, I'm happy to discuss and plan with you to personalise the music to your taste. We can supply a professional sound and lighting system that is capable of filling venues with up to 600 guests. Required by many venues, BluehatDJ has a current PLI policy with Mobile DJ Network in the amount of £10 million. Also required by many venues, BluehatDJ has supplied satisfactory evidence of holding current PAT inspections of their equipment dated within the last 12 months. A Method Statement, outlining BluehatDJ&apos;s Health & Safety procedure for setting up disco equipment has not been supplied. Why do people choose to book BluehatDJ? We just preferred this company, we were happy with price and reviews. They look very professional. The price was right and I liked the description in his email. What was offered as well as a reasonable price. Also went on the reviews and he seemed perfect for what I wanted. "Rob was very helpful before and during the disco. With a short amount of time to set up, he accommodated this by being ready well within the guests arriving. Thoroughly recommend"
"Great D.J who played great music choices, he was very friendly and did very well with the numerous requests! Thank you so much. " "Very good night had by all"
"Very Pleased with Rob. Good communication before the event. Very organised. Played songs requested (even though I didn't get the chance to dance to them all as busy chatting to guests)! Would definitely recommend. Big apologies for not buying him a drink, as well deserved one. " "Very good DJ, didn't interact with guests over microphone but did not really need to as guests were always on the dance floor from beginning to end has a fab time and could not fault him. Would definitely hire him again." "Absolutely brilliant DJ - so much so we have asked to book him again for another party and many of our family and friends would certainly book Robert. Lots of communication from him prior to the event (which was booked at very short notice). Happily took requests and music choices were all ready for the night. Would certainly recommend him." "Rob was professional throughout the whole process. It can be nerve racking booking a DJ you don't know, have been caught out once before, and this booking was seamless through the whole thing. Turned up when he said he would, was all set and ready to go in good time. Played music that everyone liked, took requests and was really excellent. Many thanks." "Rob was fantastic, from our first e mail to the party. Great communication, very helpful and on the night was totally superb. Would highly recommend and definitely use again. Lots of people commented on how great he was." "rob was so good he turned up early set everything up no problems and played everything we asked him to and the lights was ace would defo book him again for any more party's "
"Great DJ, fantastic communication prior to the event. Showed initiative to contact venue for set up time. Would highly recommend the search site and Robert. " "The dj was good in all aspects the only thing that put a down point on the night was that the guests were very dissapointed that harldy any of the requests got played!! " "Rob English did a fantastic job for our kid-friendly 40th birthday bash. Really nice guy who read the room well. Highly recommended." "Dj was excellent, he did a brilliant job with the mixture of ages in are group would recommend him to any one looking for a dj , thank you very much "
"Rob was a pleasure to deal with & provided great music on the night. Would recommend & use again "
"We were very impressed with the service offered by Rob he was a great communicator and we were left in no doubt regarding the arrangements for our daughters party. Rob was really friendly and did a great job." "What a delight to deal with Rob ! He is utterly professional, courteous, and reliable. He communicated with us via e-mail, arrived in plenty of time and made certain that we were happy with the sound level. We sent him a play list which he put together into sets adding appropriate tracks to complement our choices. The party went with a real swing and everybody commented upon the fabulous music and lights. I would strongly recommend him to others." "The Dj was fab . I had such a range of ages so he did really well and a lot of my guest said they thought a good choice of music. The choice of music I left up to the Dj I just gave very rough out line of different era that might be liked . He was also a very reasonable price would definitely recommend"
"Robert is a fantastic DJ.He created a really great atmosphere in the pub and had a great range of music. All our guests had a really superb time. It was the best New Years Party we have ever had at The Robin Hood Inn Rowlands Castle. I WOULD THOROUGHLY RECOMMEND ROBERT "BLUE HAT DJ""
"Kindly purchased and played some 90's and timeless songs which I requested approximately a month in advance. Was flexible to our requests. Well spoken, approachable and friendly. Very prompt to reply to email. Would recommend for party's of any age group"
Get FREE no-obligation disco quotes from BluehatDJ and other DJs covering your venue. Take 2 minutes to fill in some basic details and we'll do the rest! If you are contacting BluehatDJ about an event, it's always a good idea to include the DATE, LOCATION, EVENT TYPE, AGE GROUP and TIMINGS to speed things up!